A Developer of Cultured Pearls. Like most innovative people, Kokichi Mikimoto, the Japanese fellow who developed the cultured pearl, thought "outside the box." Born the son of a merchant, he was a true visionary and forward thinker. Even his ads were decades ahead of their times. Because of increased foreign trade in the later part of the 1800's, Japan's pearls became more prized and sought after than ever. They eventually became scarce, with over harvesting a growing a problem. Not one to sit around and watch things get bad, he, as well as others, decided to try culturing pearls. This means that the oyster still did the creating, but man would give them a jump start. On July 11, 1893 he, along with his wife, Ume, viewed the world's first cultured pearl. Micky Moto (Mikimoto) managed to culture five semi-spherical akoya pearls....the first ever grown by man. His dream: "I would like to adorn the necks of all the women of the world with pearls," seemed closer to reality when he finally, in 1905, cultured a perfect pearl. 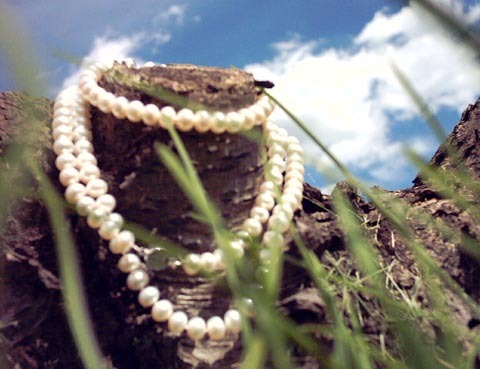 That was only a little over a century ago and without his forsight, pearls may well be today the world's rarest items. Pearl farming enhanced business opportunities on poor Japanese islands and the first store featuring high-end jewelry pieces of pearls was opened and moved in 1906 to Tokyo's Ginza area (today, Namiki-dori). This store's popularity prompted him to quickly open up more stores around the world...London in 1913, then in Paris, New York, Chicago, Los Angeles, San Fransico, Shanghai and Bombay. He established the Mikimoto Gold Work Factory in Tokyo's Tsukiji area in 1907. The culture site for black-lipped oyster in 1914 was on Ishigaki Island in Okinawa. 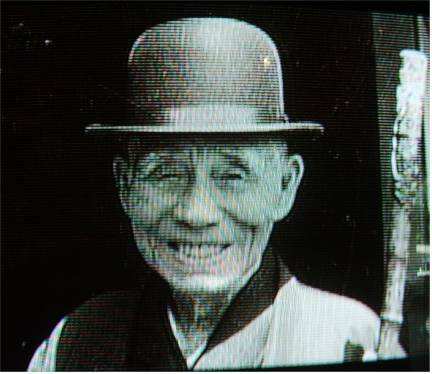 A natural born marketer, Mikimoto took advantage of every opportunity to promote his pearls and took part in the 1926 world exposition in Philadelphia which he most likely displayed his famous "Liberty Bell" covered with pearls. Other world expositions followed where he displayed his other grand works of pearl art. In 1931 a 10mm giant cultured pearl brought encouragement. Can you imagine someone developing a way to "grow gold?" That, in essence, is what Mikimoto did. Without him, there would be a definite limit to the number of pearls available today....and they would be extremely valuable....way out of the reach of most of us. In 1927 he met with Thomas Edison, an avid Mikimoto collector who said, "There are two things that can't be made at my laboratory-diamonds and pearls." This gentleman strove (with many failures and natural disasters such as red tide, low water temperatures and typhoons) for perfect Mikimoto pearls but in so doing also made available those that are imperfect which are within an average person's price range. Even these imperfect pearls can be stunningly beautiful. Always, Miki moto, aimed at the top, in quality, design, and techniques. He choose to be a pace-setter and sent out "scouts" to fashion centers of the world to analyze styles and processes. Once, in 1932 to demonstrate his interest in quality, he BURNED shovelfuls of imperfect pearls. Foreign journalists spread this word. In fact, if he knew of the current craze for pearls that is overtaking the world, he may have rethought his idea all together....or more likely...he'd be thrilled. Not only did he grow the pearls, but determined to make them into exquisite Mikimoto jewelry unrivaled by none. He was constantly striving for excellence. Click here for the official Mikimoto site. The site is slow loading, but worth the wait. Learn more about this man and his work. Also see the high quality, gorgeous pearl necklaces, bracelets and earrings. Something to think about: "Learn from the best." I have lots of photos and more information about this man in my Pearl Island section. While visiting New York City this last summer and "sight-seeing" inside the Plaza Hotel. We wanted to see Eloise's portrait. You know...that fictitious little girl and her hair-raising adventures who lived in the Plaza. I saw a ad informing us that the store was only a couple of blocks away at 680 Fifth Avenue.....so off we hustled. At first I was surprised by the store's small size. Even the display window was small with a few choice pearls on display. We were greeted at the door by a doorman, but honestly, the store is small...long and skinny with a counter on the right and display cases on the left and on the walls. A small half upstairs holds more displays. I inquired about the price of a Mikimoto cultured pearl necklace of large 14mm yellow very baroque sea pearls. The answer was several thousands. "So," I said, "even if they're baroque, they have a high value." "Oh, yes," was the reply, "if those pearls were perfect it would cost $50,000.00!" A small sitting area was available upstairs with pearl books on a coffee table. Although it looked somewhat inviting, after hearing the price of things, I felt like tiptoeing out of there, being careful not to touch anything.